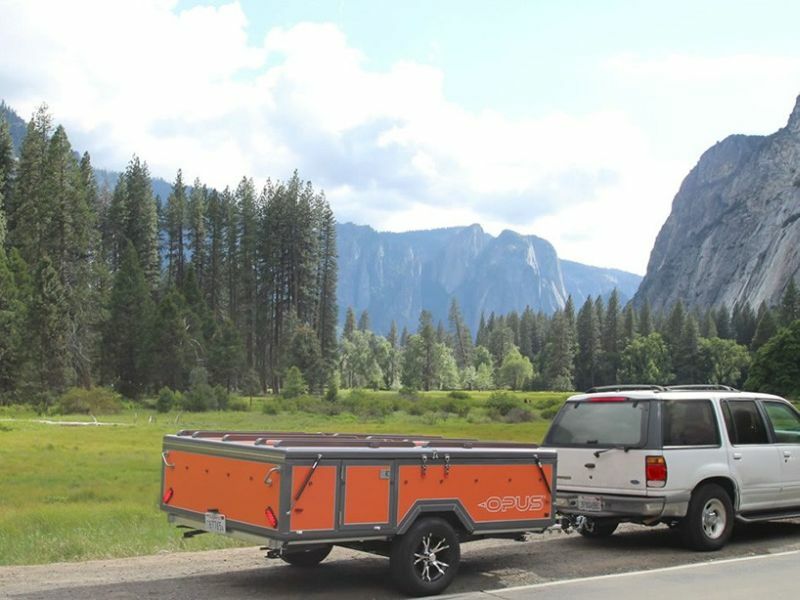 Designed to tow nearly anywhere your adventures may take you and setup in just two minutes, the Air OPUS Camper is the light weight camping machine you’ve always wanted. 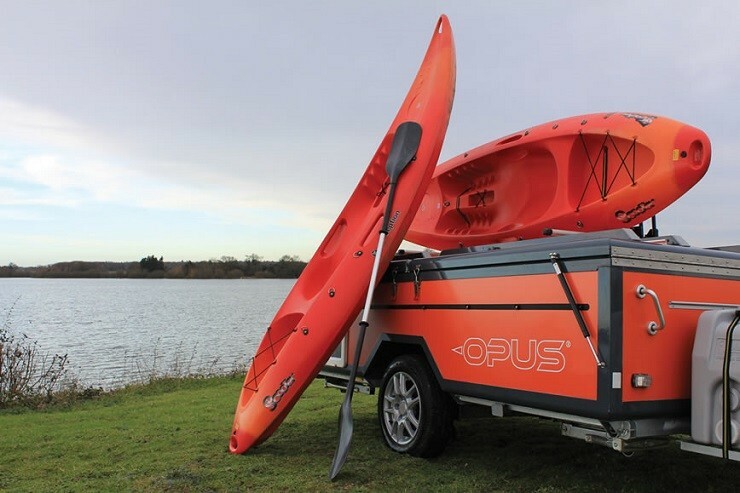 The Air OPUS might look like your average pop-up camper, but it is different in one very smart way. 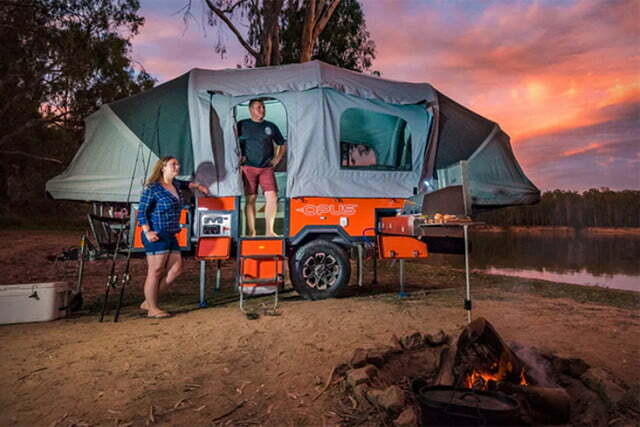 The canvas that covers the trailer is inflatable. This design dramatically reduces weight and still provides incredible stability, even in heavy wind and rain. 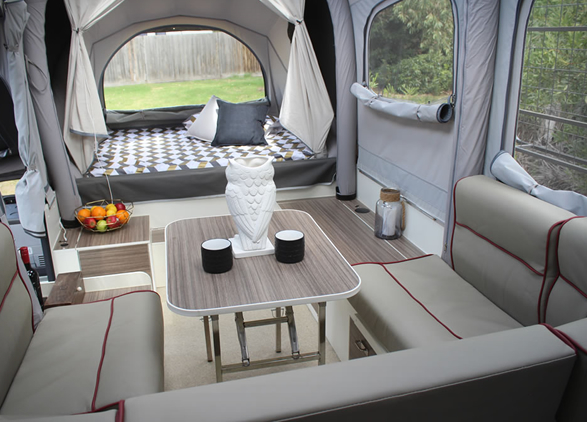 When you’re ready to pack up and ship out, the Air OPUS deflates in just 30 seconds making break-down a breeze. 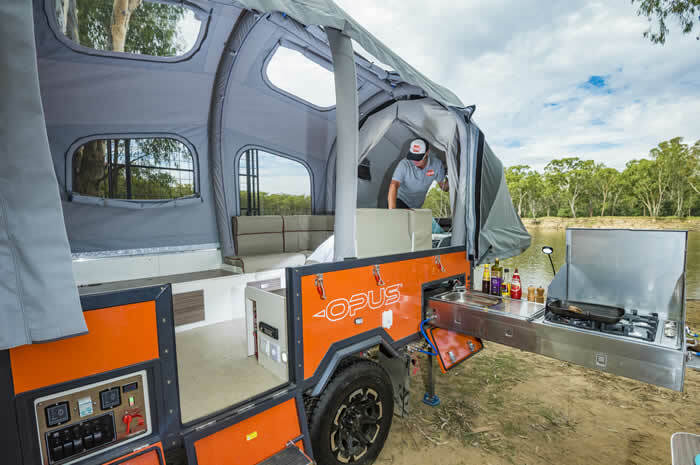 Now available in: California, Colorado, Missouri, New Mexico, North Carolina, Oregon, Texas and Washington the OPUS Air is one of the coolest little campers we’ve seen in a long time.